A Chanel show wouldn't be a Chanel show without an impressive set. The luxury brand held its couture show S/S 2019 at Villa Chanel, a French country house completed with a grand double staircase, a giant pool, and palm trees which was built for the show. Karl Lagerfeld was absent from the show but he shared more about the collection in the press release. "It’s a serene, ideal, timeless collection, that’s absolutely now, with new shapes." Let's take a look at some of the trends we picked up from this collection, as we expect them to dominate the fashion scene for the next few months. 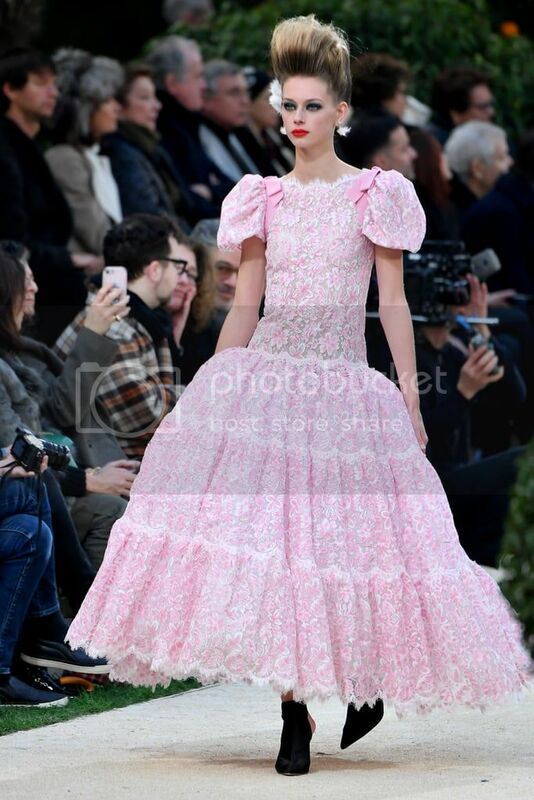 Spring always sets the stage for a comeback of pastel shades and there were many candy coloured dresses in the Chanel couture show. Don't throw out the pastel apparels that are sitting at the back of your wardrobe, because they are bound to spark joy for the next few months. 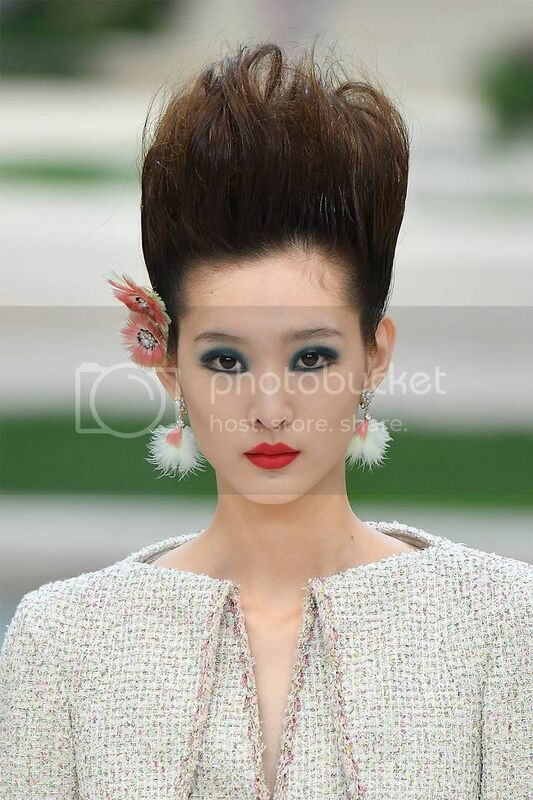 From earrings to hair accessories, feathers were everywhere on the Chanel runway. Leather jackets took on a brand new silhouette and are no longer reserved for the biker look. Leather jackets now looked more polished with the new boatneck neckline and cropped cut. Pair them with maxi or midi skirts to get the look right. We saw quite a number of cutouts on the dresses. In fact, take a close look at the stiletto booties that were worn by the models, they had cutouts on them too. And here are the stiletto booties that were mentioned above. Remember to get pointy ones instead of square or round toe types. 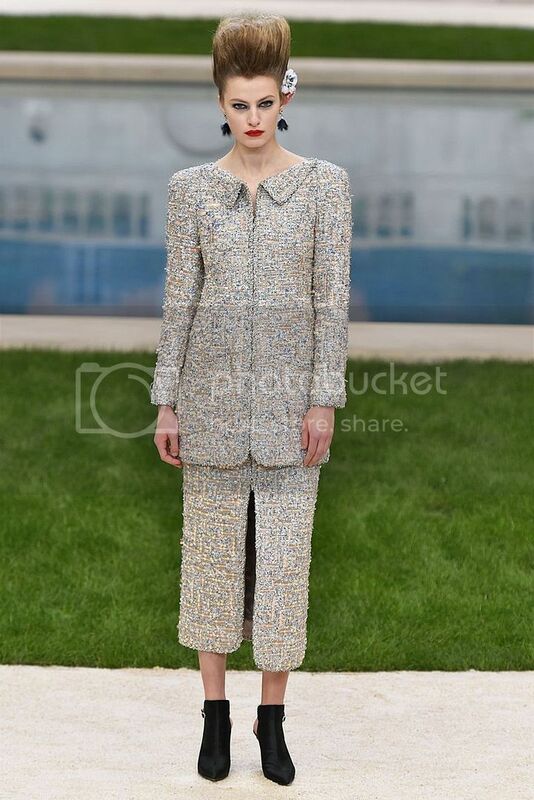 A signature of Chanel's designs will be the use of tweed. While tweed suits may be a little too warm for our weather, you can always wear tweed jackets when you are in the chilly aircon room or when you are at work.